Ageing plastic toys often experience poor wheel traction due to a loss of rubberised treads. 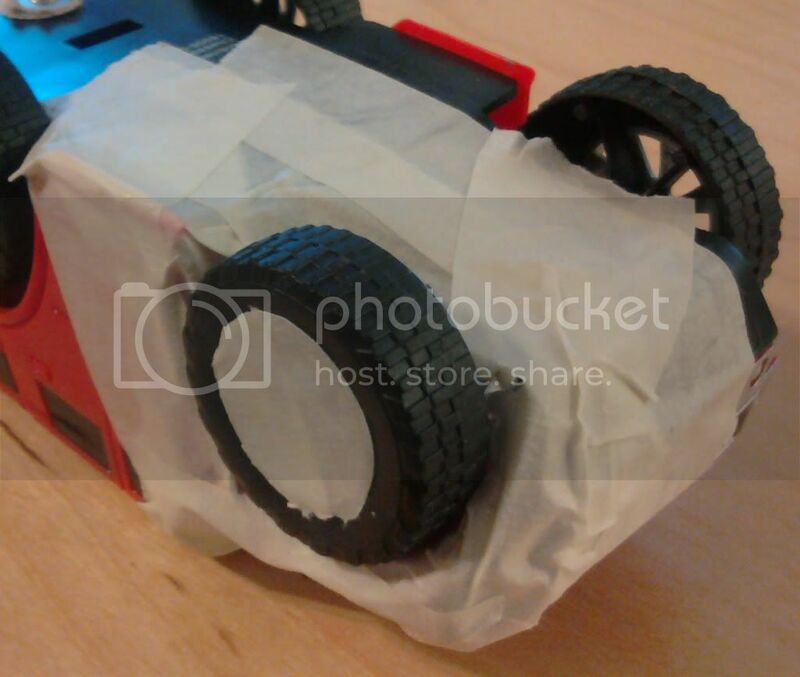 This lack of grip makes RC vehicles and home brew robots difficult to operate, and can damage expensive components. Many hobbyists fix the problem with pricey custom replacement parts. Instead of resorting to this costly, time-consuming process, add traction to your existing wheels with an inexpensive quick fix. Thoroughly scrub your toy's wheels with dish soap and a toothbrush. Rinse off the soap and allow the toy to dry completely. Coat the front and back wheels in different colours to monitor wear patterns. Try creating rugged, off-road tires for your toy by sprinkling fine grain sand on the wet rubber coating between the first and second applications. Fumes from brush-on rubber coating can irritate lungs and airways. Wear a respirator if you have a sensitive respiratory system. Only use craft knives under adult supervision.